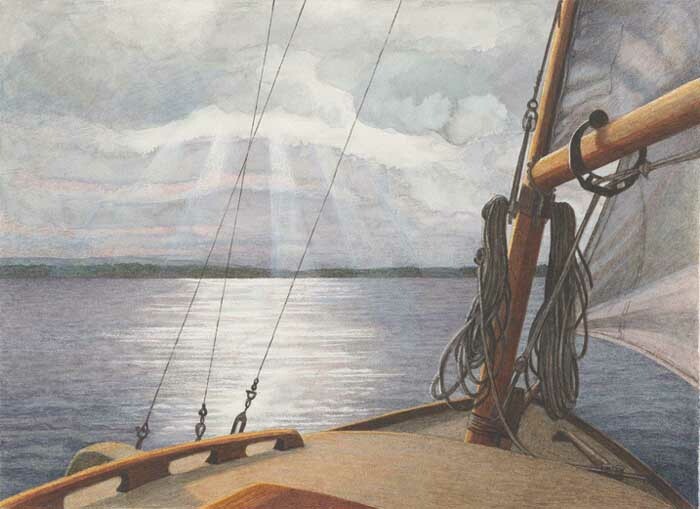 I think I hear her singing. 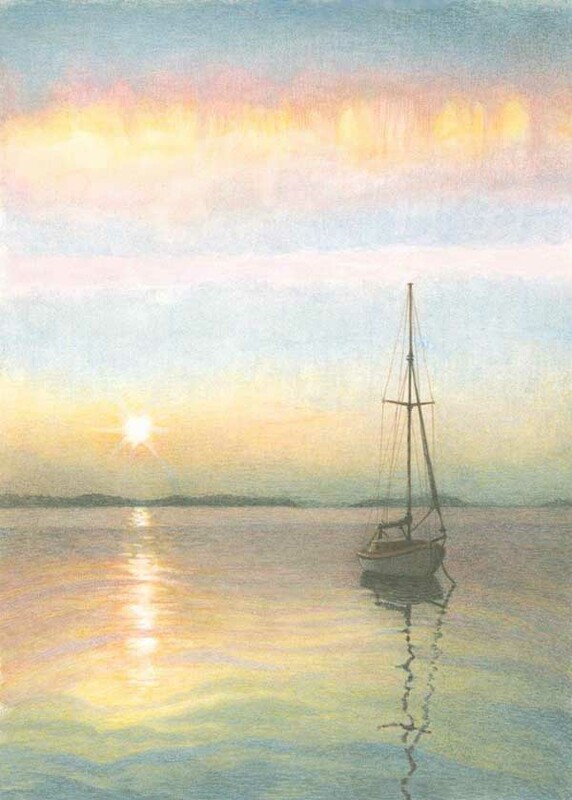 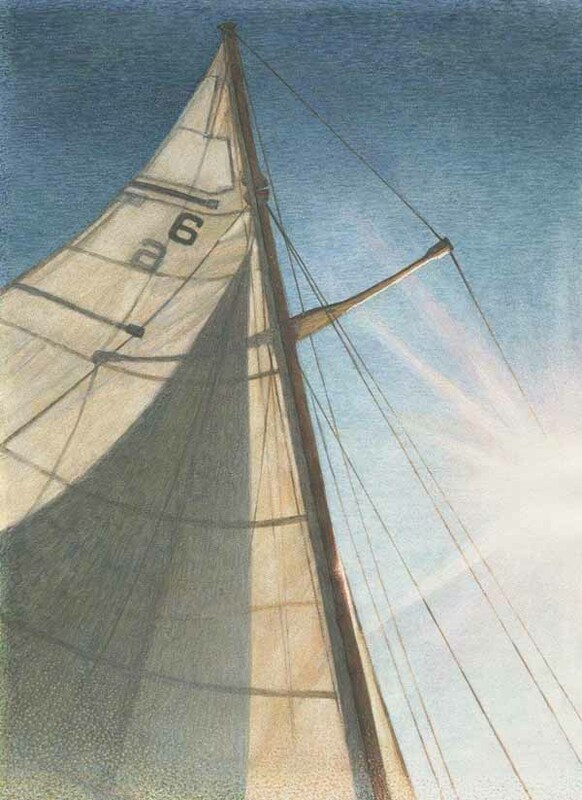 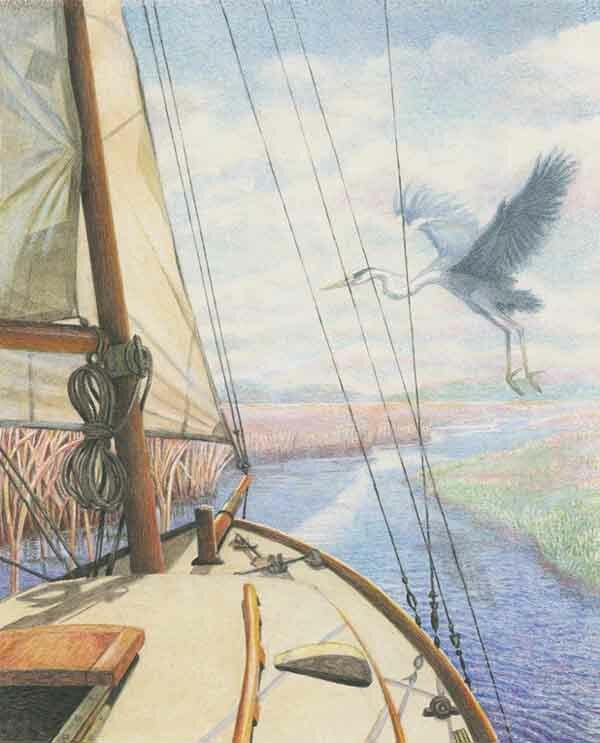 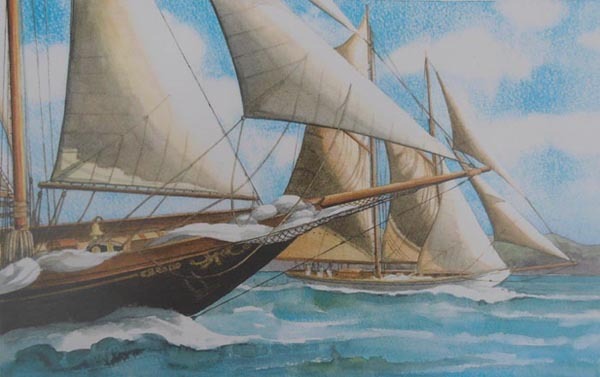 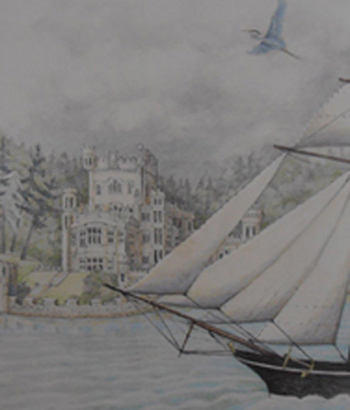 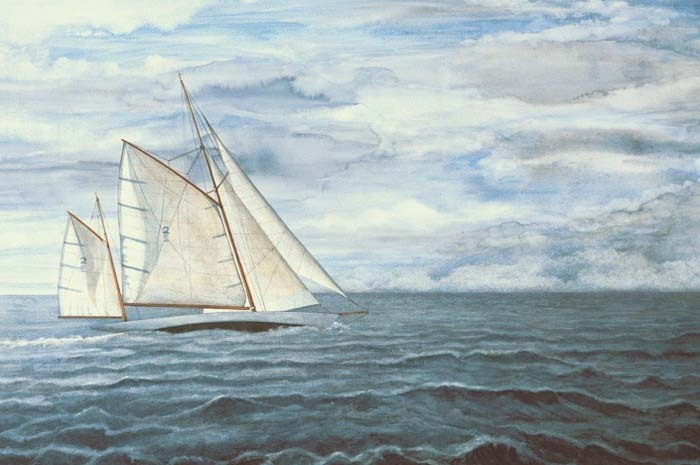 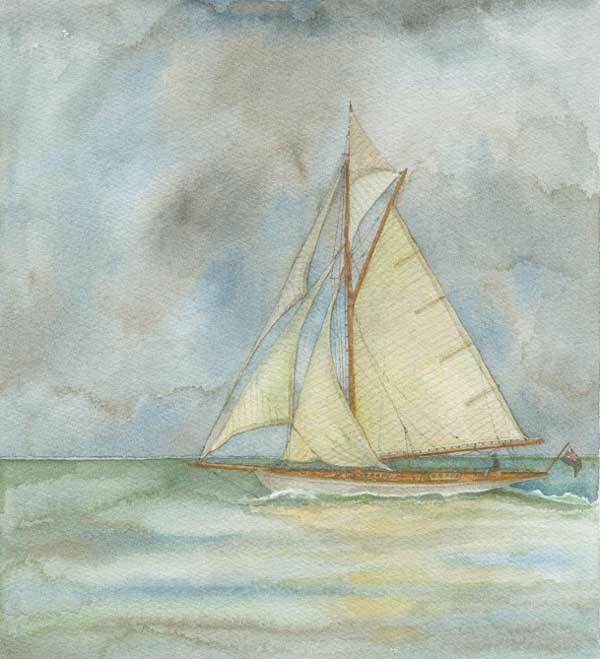 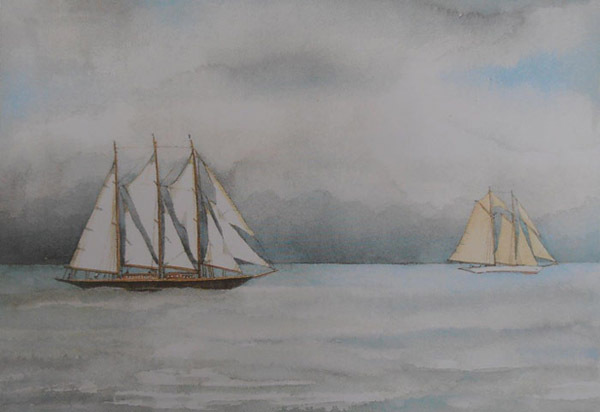 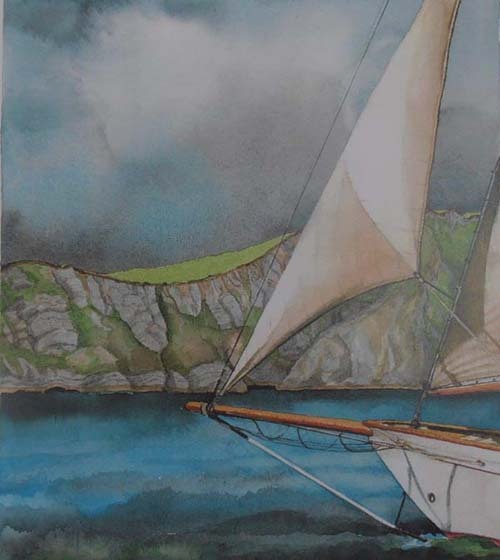 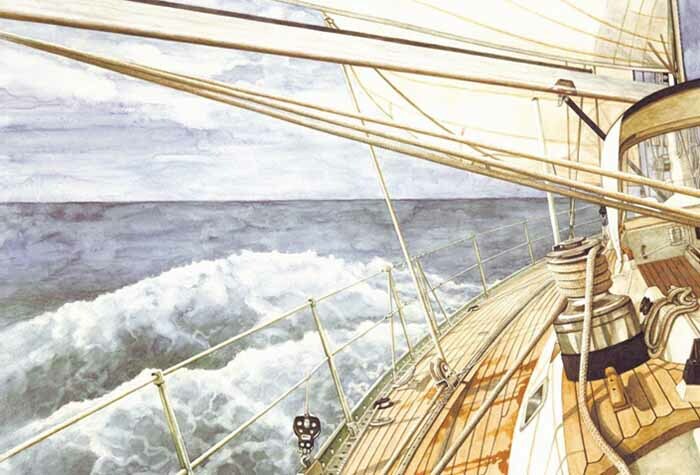 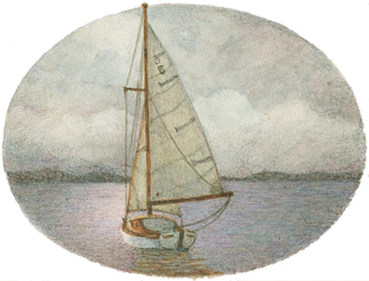 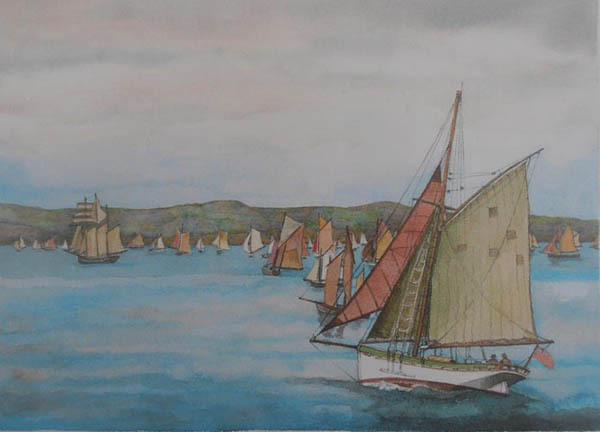 Since childhood, sailing has played a large part in Deborah’s life and on her return to Dorset in 1982 she produced ON BOARD, a series of watercolours of her own classic 1930s sloop PHOEBE. 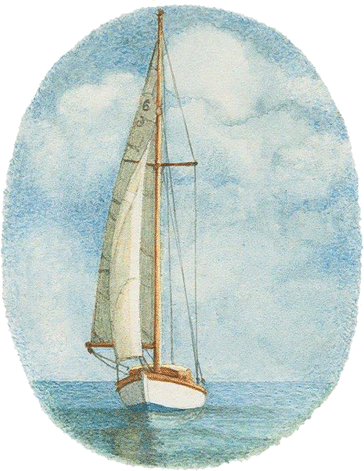 These were later published by Sunrise Cards in the UK and USA. 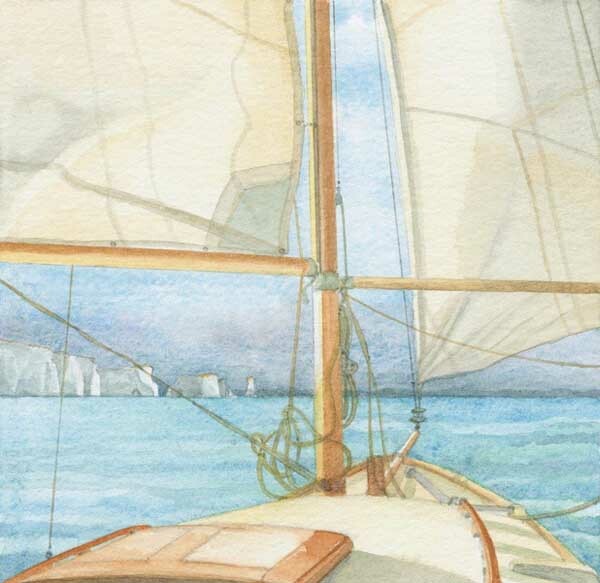 On the strength of this she undertook commissions, sailing on some of the world’s most beautiful yachts in the Solent, South of France, Bahamas and the Caribbean, a selection of her artworks featuring in a promotion by Boat International Magazine. 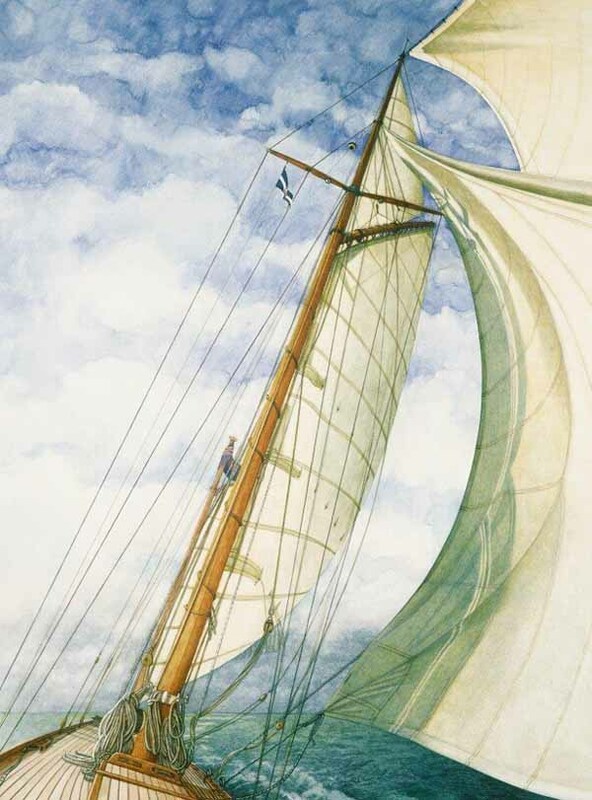 She also attended classic yacht festivals, including La Nioulargue in St Tropez, Douarnenez in Brittany and wooden boat rallies in Falmouth and the Solent, some of which have inspired the following artworks. 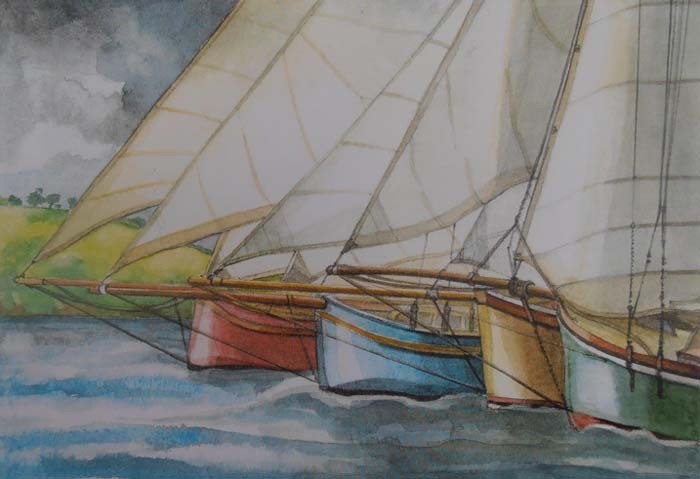 Most of the originals have been sold. 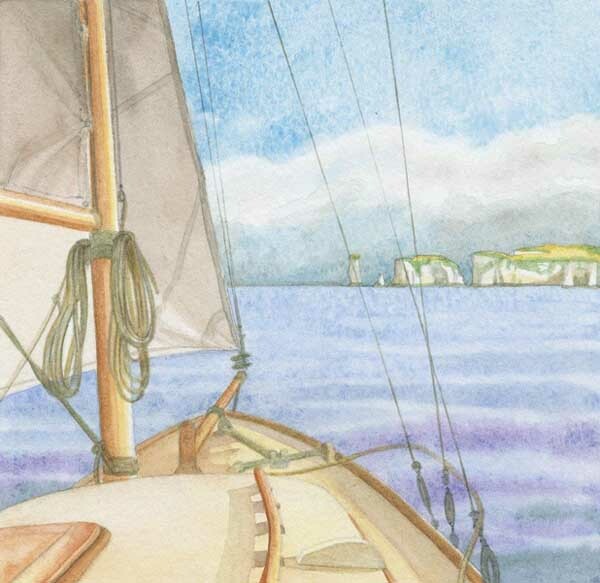 Unless otherwise stated, some images are still available as limited edition giclee prints. Please contact Deborah for more information on sizes and prices.